We awoke on Monday morning to a bright blue, sun filled sky and I felt this was a sign to rid ourselves of the cabin fever which we had both been aware of for sometime. 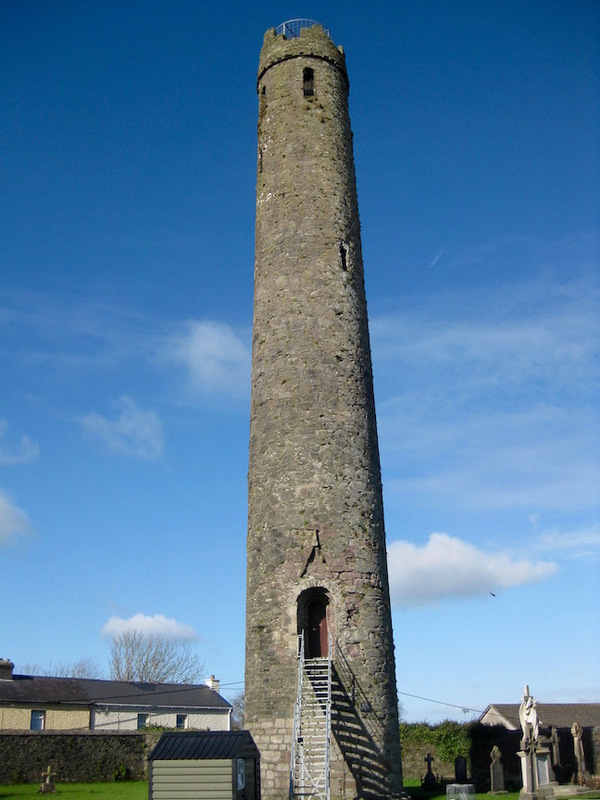 "Kildare is calling us” I said to Lady H.
"Which way shall we go ?” said Lady H.
So we did, for the old roads are a pleasure to drive on these days and relatively free of traffic for most people use the motorways. 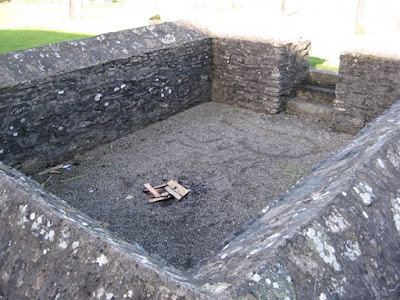 Kildare in Irish it is Cill Dara meaning the Church of the Oak, made famous by St Brigid who had her monastery there complete with a perpetual fire which was kept burning until the 15th century. On our arrival Lady H hopped out of the car and went off to take photos and on her return said we'd visit the Parish Church next. The first and last time I was at the Cathedral was in 1993 when I took a few friends to visit Kildare.We spent most of our time sitting in St. Brigid's Fire Pit chatting and when we decided to leave, we found ourselves locked in after the caretaker had chained the entrance gates together. We tried to attract attention to our plight by shouting but to no avail. con us all out of money. We were not so easily fooled and understood that if he was in funds he’d be in the pub for hours whilst we’d be still behind bars! through the gate to us. Tolly was dismayed after being told he was underage and about thirty minutes later the key holder arrived to let us out us out. On arriving at the cathedral we found the building locked, not that it bothered me for I have no love for church buildings. 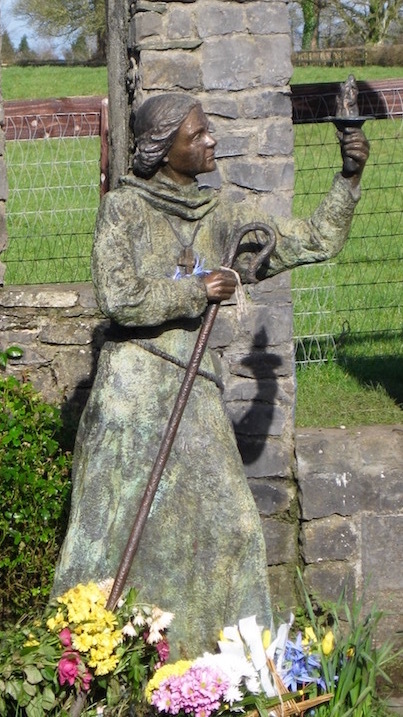 Lady H was keen to move on to the Parish Church which has doors decorated with Brigid’s Crosses and bronze hands. 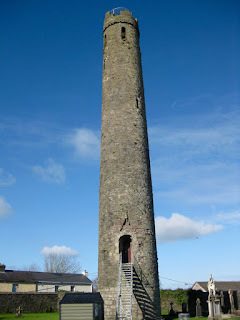 I explained it was just across the hill as I’d noticed a spire as we drove into town. Over the hill we went and arrived a large church. There were doors but no bronze hands were to be seen, however we entered, lit a candle as requested for by a friend and left. Never the less during Lady H’s absence I went for a wander as you never know what may be discovered. and herself took off to take photos of the bronze hands, while I contented myself with a pipe of baccy. Our next stop was St Brigid’s Well and I spotted the sign easily so was able to direct my driver on her return. 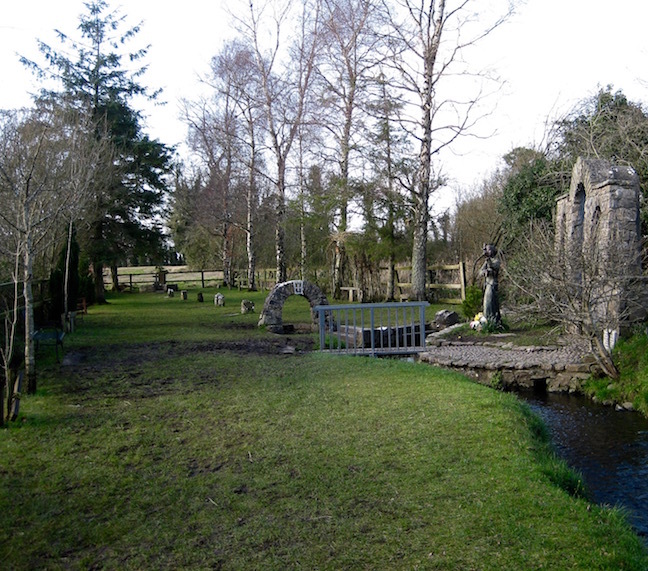 St. Brigid's Well is in the countryside and it is in 'Nature' where I think you can best connect to any deity and by whatever name you care to use. yesterday launched a scathing attack on some voters in his own constituency ! people as "All Ireland Champions" in whingeing. He made the comments to a rally of supporters in his home town last night. He said they refused to recognise that the town was benefitting from the economic recovery. Speaking on RTÉ radio on Monday, Mr Adams said the reality was that people throughout the country were not seeing the benefits of the recovery. 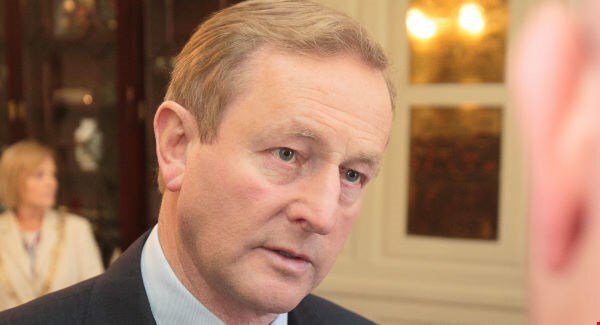 “The Taoiseach referred yesterday to whingers and people who would not see the sunshine on a sunny day. People do not feel the recovery because there is no recovery for them. The reason they are not seeing the recovery is because this Government made the wrong decisions”, he said. It is time Enda took a long holiday and I do mean that. Does he not know that every word that he utters goes before him and is read as a critical marker by everyone on this island and internationally too. It is totally naive of him to believe otherwise. for those who wish be teachers. If these are his benefits it was only the Department of Finance that benefitted. Revealed – 'Concerned citizen' who challenged Mary Lou McDonald on fair taxes is top banker. Fergus Crawford, CEO of the Irish branch of Sarasin & Partners, which is based at 120 St Stephen's Green and is part of private Swiss Bank J Safra Sarasin. 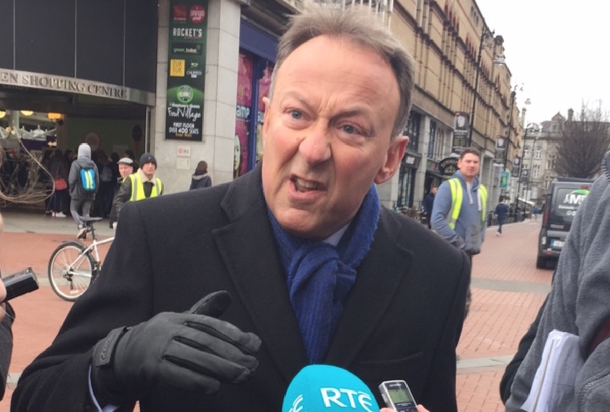 THE 'CONCERNED CITIZEN' who claimed he was a small business owner when he confronted Sinn Féin deputy leader Mary Lou McDonald about tax reform during a press event on Grafton Street in Dublin on Friday is actually the CEO of a Swiss investment firm. The man who refused to divulge his name to reporters despite repeated requests claimed he was a “small business owner”. 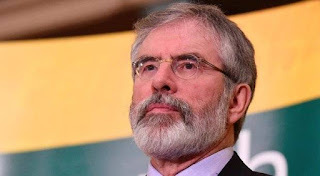 An Phoblacht learned that the man is Fergus Crawford, CEO of the Irish branch of Sarasin & Partners, which is based at 120 St Stephen's Green and is part of private Swiss Bank J Safra Sarasin. The asset management firm manages more than €15billion in assets. Some of the services it provides includes offshore hedge funds based in overseas locations such as the Channel Islands which help reduce the tax liabilities for clients in places like Ireland. During his exchange with Mary Lou McDonald, Crawford criticised Sinn Féin's plans to ask higher earners to pay an extra 7 cent on each euro earned in excess of €100,000 per year. Crawford shouted that his children didn't want to “aspire to €69,000 a year” while ludicrously claiming that Sinn Féin wants to tax people “out of existence”. During the exchange he told reporters he would "probably vote for Fine Gael". Mary Lou McDonald pointed out to him that more than 50% of the workforce in Ireland earns less than €28,500 a year and that Sinn Féin wants to ease the tax burden on low and middle earners while asking those at the top to pay a little more. *From 1996 to July 2008 he served in various roles, including Head of Investment, for ACC Bank. When searching for his company’s web site www.sarasin-alpen.com it now appears to be non operational! Well,so much for opening his big mouth and telling lies about being a small business man. 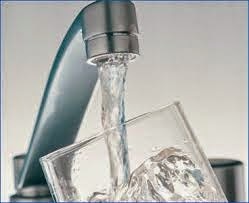 Would you pay for water that contains a carcinogenic ? About 400,000 people in ten counties are being forced to pay for water that may seriously damage their health and cause cancer! Irish Water has refused to directly inform those affected. The particular carcinogenic a THM from Chlorine that is contained in the supply reservoirs pipes that builds up after two or three days. consumers of contamination on their bills however,she said that the European Commission could not force the company to do this. The affected water sources are in various parts of the country, with several in Kerry and Cork, Kilkenny City, Waterford, Wicklow, Meath, Mayo, Roscommon, Donegal, and Galway. Bereaved mothers who have lost sons to suicide have pleaded with political parties to prioritise mental health. The women, who have set up the Circle of Hope suicide support group on the northside of Cork City, issued their plea yesterday, as Sinn Féin president Gerry Adams met them and several other groups involved in suicide support programmes. 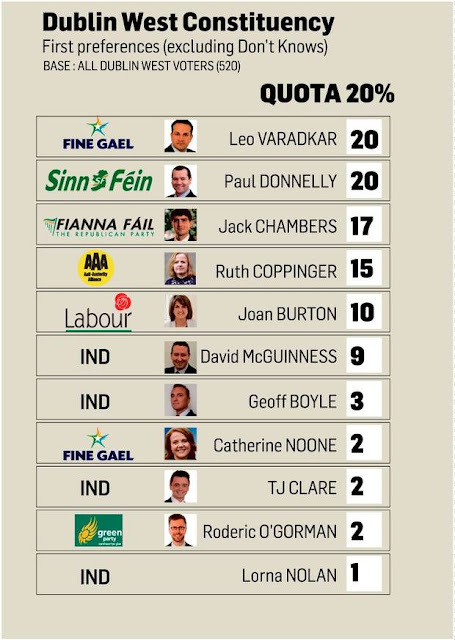 They told Mr Adams, and his party’s two candidates in Cork North Central, TD Jonathan O’Brien and Thomas Gould, how five young people in one small area of Ballyvolane and Dublin Hill died by suicide within a few months of each other in 2013. “It was a horrible year — one after the other. Our group came out of that,” said Lynda Haynes. Her son, Corey O’Callaghan, died by suicide three weeks before his 21st birthday. Fiona Mackey’s son, John, took his own life a few months later. He was 14. Ms Haynes said the pain never leaves, but having a support group, where people can talk and remember their loved ones, helps them cope. “Everyone knew Corey. He was just an old soul. It was like he was here before. He gave his heart and time to everyone. He was so happy-go-lucky,” she said. Corey left a note in which he said he had the best friends. “But he also said he had pain — pain we didn’t see,” said Ms Haynes. Ms Mackey said John left two notes for his family. “He didn’t do this to cause us pain. It was to get rid of his own pain, but we don’t know what that pain was. Only for this support group. I wouldn’t be here,” she said. Both women told Mr Adams they want politicians to commit to mental health awareness campaigns. “Money doesn’t come into it. We fundraise ourselves. We just want them to commit to awareness,” said Ms Haynes. Mr Adams praised the support groups and called for an all-island approach to tackling suicide, including the introduction of a sustained advertising campaign modelled on road-safety campaigns. “These groups can take some succour from the fact that even though some of them have lost loved ones, they have saved a lot of other people by the work they are doing,” he said. Statistics show 459 people — 368 men and 91 women — took their own lives in Ireland last year, but the real suicide figure could be as high as 1,000. “Despite the fact that 644,000 people — one in seven adults — have experienced mental-health issues in the last year, successive governments have neglected the mental health area,” said Mr Adams. He said if Sinn Féin was in government, it would increase the mental health budget in year one by €35m, complete the rollout of suicide crisis assessment nurses, and reverse cuts to guidance counsellors. My own experience during the twenty-five years that I have lived in this part of Ireland, is that I have known several people from different walks of life who have taken their own lives and when the financial downturn came that number unfortunately grew. "Every candidate and everyone else should be mindful of the particular and peculiar stresses and strains that comes with being a candidate. It’s a form of ailment called Candidatitis. It begins with the candidate coming to believe – with a certainty known only to the prophets of old – that they are going to win. This syndrome is capable of moving even the most rational aspirant or shy wallflower into a state of extreme self belief. It strikes without warning, is no respecter of gender, and can infect the lowly municipal hopeful, the aspiring Parliamentarian, as well as the lofty presidential wannabe. The late Screaming Lord Sutch, or his Irish equivalent, who stands just for the craic, can fall victim to candidatitis as much as the most committed and earnest political activist. I believe this is due to two factors. First of all most people standing for election see little point in telling the voters that they are not going to win. That just wouldn’t make sense. Of course not. So they say they are going to win. 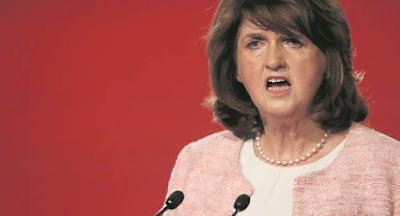 Listen to Joan Burton the Labour leader. Does she admit that Labour is going to lose seats. Not a chance. Or does Micheál Martin admit that his refusal to consider going into coalition with Fine Gael or Sinn Féin (not that there’s much chance of that) means that Fianna Fáil will not be in government after this election? Not on your nelly. He spent five minutes vainly trying to convince listeners to RTE that Fianna Fáil can be in government. Even though they are clearly not running enough candidates. That's when Candidatitis starts. As the 'we are going to win' is repeated time and time again it starts to have a hypnotic effect on the person intoning the mantra. By this time it’s too late." On Thursday 6th Ms Burton said "I'm very confident as ever of our chances. It's a good time for an election"
On Monday 8th Joan Burton said "No seat is safe in this election for any party", but when asked if her own seat was safe, she replied: “Absolutely!" Today Thursday16th: Tánaiste Joan Burton is facing a massive battle to save her own political career! According to herself she gave the pensioners a generous increase of €3 per week after having stood by and allowed them to face Water Charges and Property Tax and cuts in their Winter Fuel allowance. The lady is falling in popularity I wonder why ? I was talking to a relation in England the other day when I mentioned the forth coming election, to which they replied "What election ? "and when told said "That's the first I have heard of it"
So I thought that it was about time I brought it to my readers attention. Polling day will be on 26th February. Today is Brighid’s Day, an internationally known Goddess and Saint of Ireland, She is in fact the only female Christian deity that I know of who is revered as a saint and who was never actually canonised. Such is the power of the people and the whimsical nature of the church - however, that is a debate for another day. A few years ago I composed a poem with Her in mind, although I did not name it so and today I have added two more lines below the original. Warrior lords, foreign, crippled with greed. In Her a sea smooth cave, that once sheltered Fintan. Crabs with dead mens fingers, sought a womb watery grave. To those who seek justice for all of her people. Today here in Ireland this day is also the beginning of Spring and in my garden the Snowdrops are in full bloom and a crocus has just popped out. 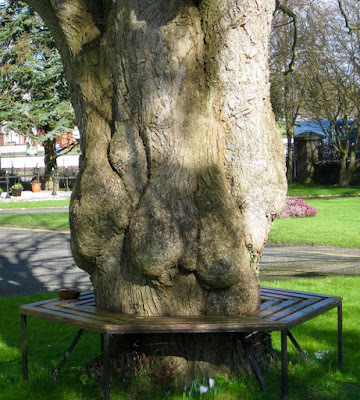 Wishing you all a Happy Brighid's Day wherever you are in the world.